Piotr Bejnar might still look like a freshman on the Mo’s Ferry label, but he convinced us with talent, devotion and a fascinating drive when performing his music live on stage. Look up his name on Youtube and you’ll know why… One year after his surprising debut with the digital 3-tracker „Janusz EP“, this follow up will also be released on vinyl. 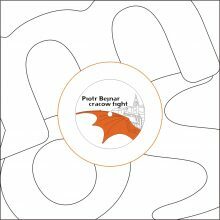 For Piotr Bejnar the „Cracow Fight“ is not only a platform to present himself. He welcomes his friend and producer Jackname Trouble on board and finishes the 4-tracker with two excellent remixes. Yapacc and Patlac are definitely no unknown entities. The two German producers are highly acclaimed for their own releases and remixed the tracks with great respect to the originals.